Conversely, some of you are probably, “Oohing,” and “Aahing,” at how cute these pictures are. Some people cite arguments that say a dog’s mouth and tongue are cleaner than a human’s, and have enzymes in the saliva that do magical, special things to keep their mouths super disinfected. Even more contest that it’s how the dog shows their affection for their owners. So where do YOU stand? 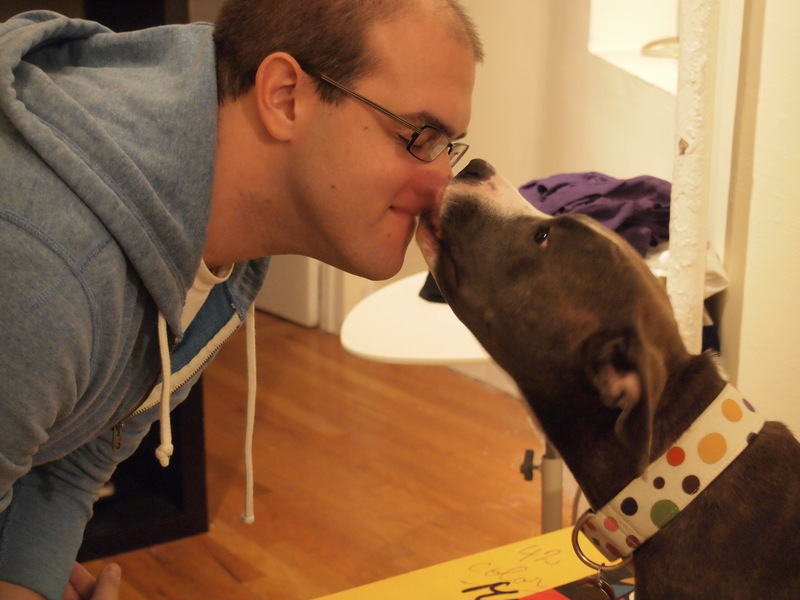 Will you be lining up at the next doggie kissing booth you see? 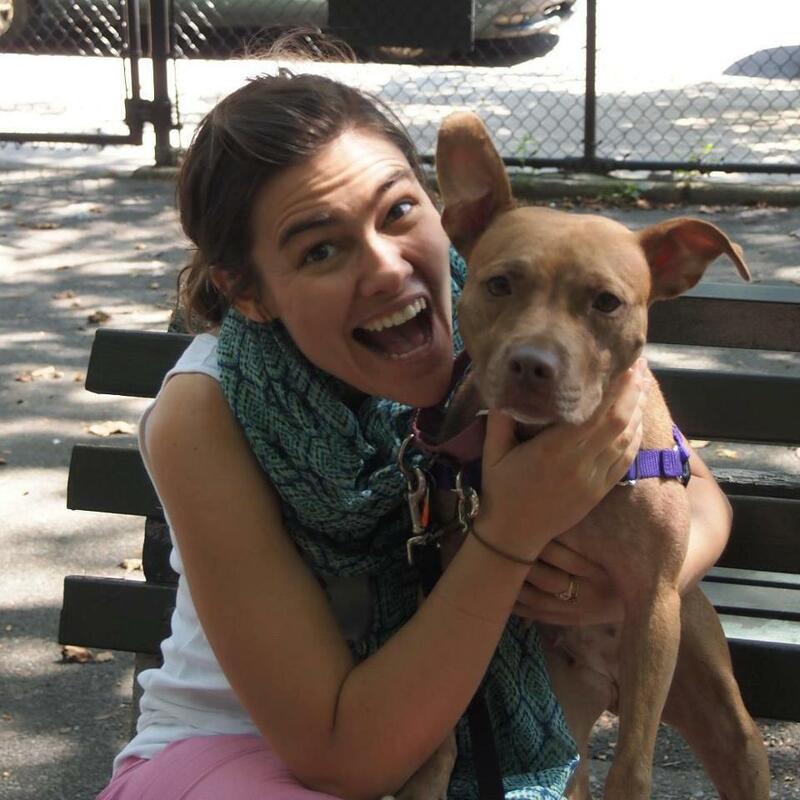 Everyone needs to get out of the city once in a while – including adoptable dogs! So, we packed up Paige and hopped on a train from Grand Central to Westchester where Ann picked us up. Of course, one pittie wasn’t enough, so we grabbed pretty Doris Day from Paws and Play and drove up Mahopac, NY where we found love, grooviness and lots of dogs! It was Woostock 2012! The atmosphere was great…lots of tie-dye, well-behaved dogs and like-minded folks. There were dogs of every size, breed and age. 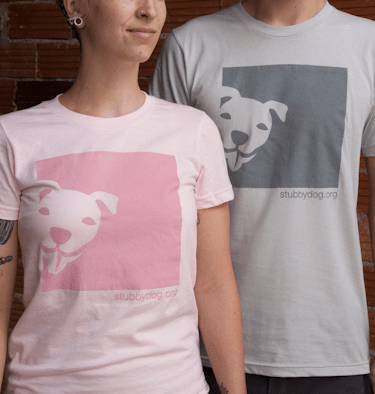 Bully Project was lucky enough to be offered a spot in the “Pitbull Pride” section! What a great group of people – and dogs! We not only got to meet John Shipe of “Pitbull Blues” fame, we got to see him perform as well! The folks at Modified K9 are awesome and even rescued a pittie who was in bad shape from another rescue. 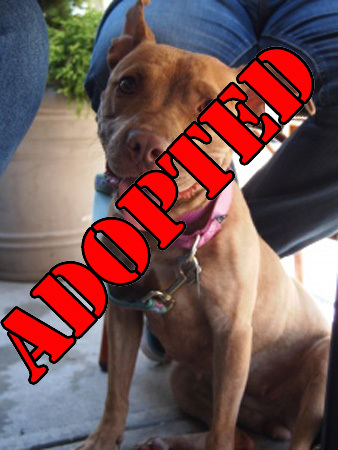 Now that dog, renamed Clara, is off to a much better start with our friends Karen and Chelle at Modified. Paige and Doris got to meet lots of folks and practiced some greeting skills. Since this was Doris’ first outing, she was more comfortable going on walks and checking out the scene while Paige hosted our pretty table! While on one of the walks, Doris fell upon two great ladies from Pirate Paws that make fresh treats, beef jerky and dehydrated chicken breasts. Yum! We stocked up and plan to order some more soon! No need to buy this stuff from China when you can get some made right up in the Hudson Valley! 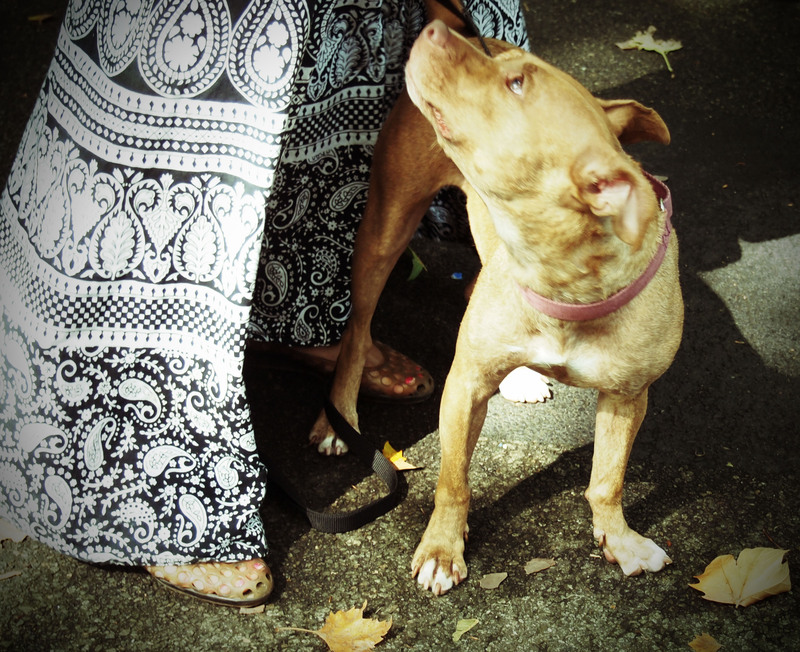 Of course, Woofstock had celebrities…The pittie-kind. We were so excited to watch disc dog demos by Kara and Erich of Paw Stars. They started out with their typical border collies who surely won over the crowd. But the real star was Santiago, an alumni from Animal Farm Foundation. Although Santi has only been catching frisbees for a year or so, he is amazing. And, Kara and Erich always offer up Santi for meet and greets after the demos – he LOVES to say, “Hi.” What a great way to dispel myths. Another sighting in the crowd was a gorgeous fella named Danny Boy, another AFF alum, who likes to catch discs along with lots of other sports like agility. As you learned from Lucy’s letter yesterday, she and Paige have been playing quite a bit lately. I’m lucky because both have great playtime manners, and observe and respond to each other’s body language appropriately. But some dogs, despite being very dog friendly, don’t respond to other dogs’ signals very well. When Lucy and Paige play, it frequently involves a lot of running back and forth, tug of war with a nice sized toy (big enough to give each dog some room to chomp down on it), some gentle body “checking,” and routine breaks instigated by one of the two or myself. In fact, the other day during playtime, one of the dogs accidentally caught the other one with its teeth – I honestly don’t know who mouthed who, hence the vagueness. But a yelp was given – and it was as if a referee blew a whistle. Lucy went in one direction, and Paige in the other. Self imposed time out – very impressive. But this is not common, even for my two princesses. They would play all day if I let them until it progressed to over-arousal. So, that’s when Dad steps in with yummy treats and engaging commands. Taking the dogs’ minds off of each other and forcing them to focus on basic obedience (and in Lucy’s case, some tricks) gives them a chance to settle down so that when they start playing again, it’s back to a manageable level. Dr. Sophia Yin covers proper dog interaction a lot on her website and blog, and her article on Dog Park Etiquette reveals one of the biggest issues – an owner’s lack of attention. If you don’t want your dog involved in a scuffle, you need to be proactive. Stay with your dog, and away from the mindless chatter. This way, your dog doesn’t need to react to a dog who wont listen to his physical cues, because you can take him out the situation before it escalates. Another great technique for helping a dog behave more appropriately around other dogs is exactly what we’ve been doing with Bully Project – training classes! Working with your dog in a stimulating environment around other dogs will help them learn how to properly have fun with other pups! You can also work with them so that your dog doesn’t just assume every dog wants to say hello. Teach them how to properly greet another dog (side by side, not face to face), so that when they’re running free in a dog park, they can make better decisions for themselves. In other words, our dogs need to know about personal space just like we do as humans. Lucy and Paige have begun to learn each other’s cues and signals, and I’ve learned them too. I maintain a high level of supervision, and show them what’s right and wrong during playtime. Sure, they’re not perfect and I’m by no means a professional – but even an average dog owner, who’s willing to put in the work, can teach a dog manners. 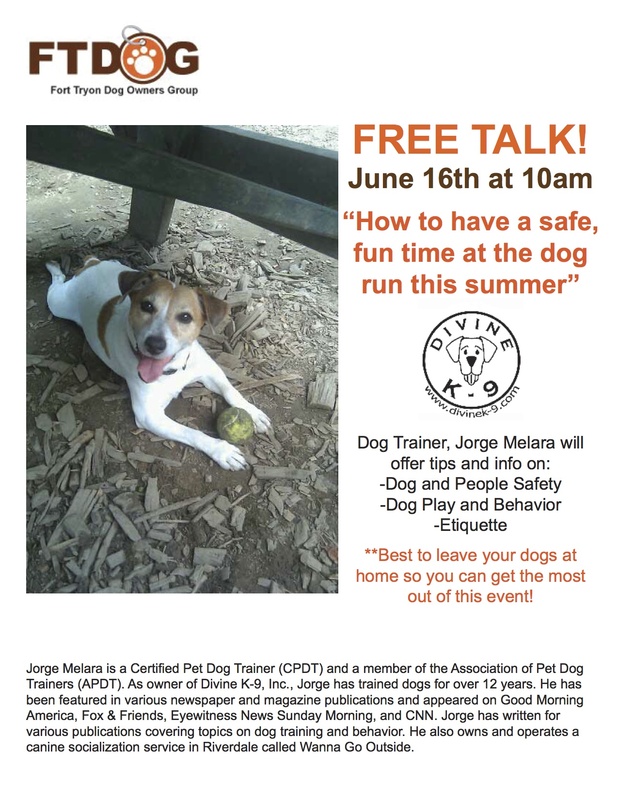 So, for you New York City dog owners who are having some trouble teaching your dogs how to play well with others, come check out this upcoming free talk about how to have good, safe fun at the dog park! Hi everyone! (pant) Lucy here! I’m a little (pant) out of breath. (pant). Paige isn’t a monster anymore, and now we can play. (pant). And boy have we been playing! (yawn). Here she comes again! Gotta go! 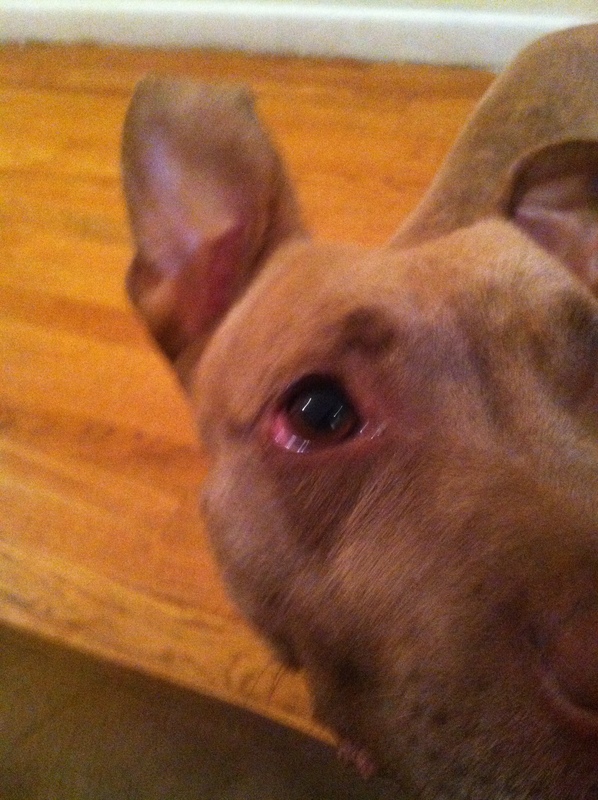 As for the concerning issues: the eye did boil down to allergies. We got some drops (which you’d think were liquid fire the way Paige avoids them) that have to go in both of her eyes twice a day for a week. The scratching of the belly: well, that’s not allergies. She’s got a minor yeast infection on her belly which is causing the itching – so now we have a regular bathing schedule with a medicated shampoo for the next two weeks. On top of all of that, we brought in a stool sample just for good measure. The results weren’t as unpleasant as they could have been, but it does turn out that Paige has a parasite called Coccidia. Thankfully, this isn’t nearly as troublesome as some other intestinal parasites we’ve had to deal with in the past, but it does come with some tablets that she has to take once daily for ten days. The suckiest part of it is that Lucy has to take the tablets, too! Since they play a lot, the vet decided it was best that both dogs get treatment. Hoo. Ray. The next day was my turn. I found out I have plantar fasciitis in my left foot. Basically, there’s a large band that runs the length of your entire foot from heel to the base of your toes which is very fibrous. It can tear, which can cause severe pain. Well, mine is pretty badly torn, and walking two dogs separately four times every day isn’t exactly helping the situation. My doctor prescribed orthotic insoles and some other meds and is treating my foot with ultrasound (which tickles more than any tickling I have ever experienced). I was also instructed to ice my foot every night by rolling it on a frozen water bottle. Well, I don’t have one of those, so I’m subbing a bottle of vodka. Works just as well, if not better, if you ask me! 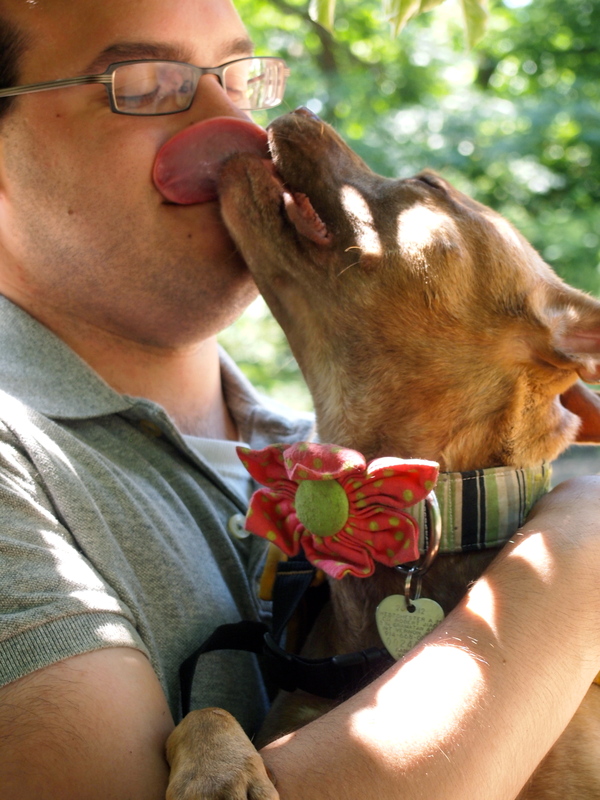 And if all of that weren’t enough – it’s summertime, and that means it’s flea & tick time! So we’ve broken out preventatives and you all should, too! Ask your vet for recommendations, do your research and find the product that is best for you and your four legged friends, and start using it now! So off we go into the abyss of medicines, baths and booze. Should be an interesting two weeks!